Blazing hot temps in Phoenix = frozen treats whenever I please. 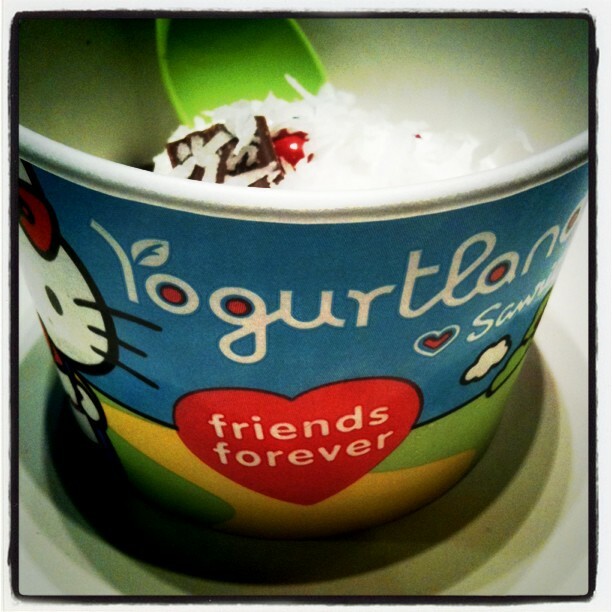 Which is usually only on the weekends (thankfully) since there isn't a Yogurtland near my house. It's my all time favorite. I'm quite loyal! All the others just don't compare. Madagascar vanilla, coconut, and a dash of red velvet if I'm feeling like it. 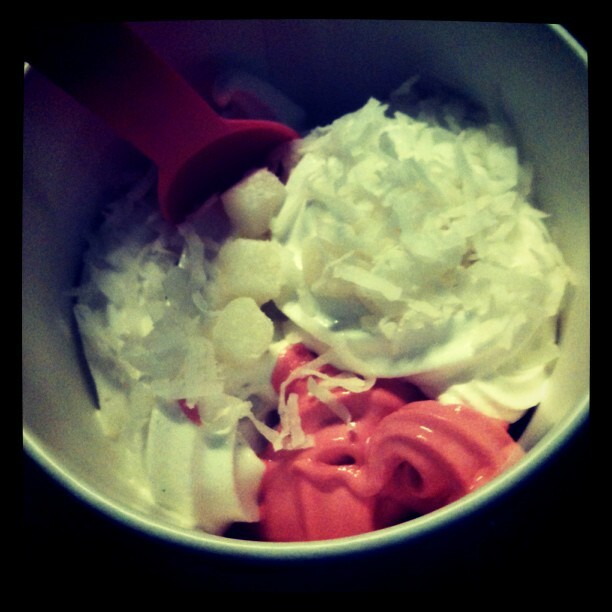 Toppings are simple, a few mochi & coconut shavings. Ignore Lauren's weird jellyfish topping. She swears it was good, but I just couldn't agree! 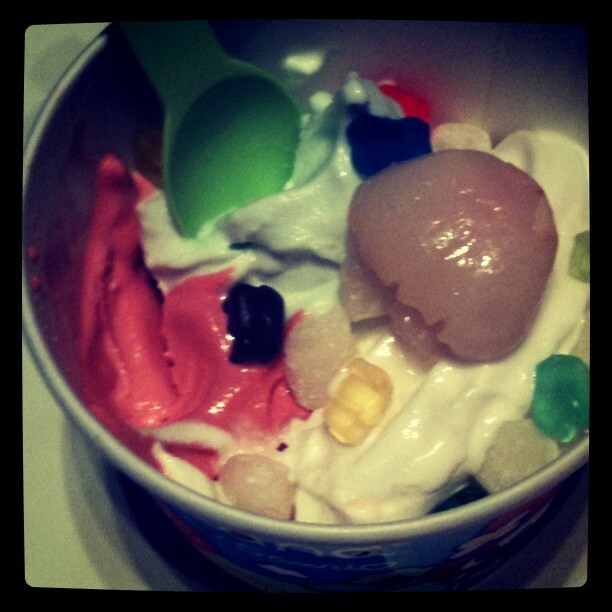 yumm yogurtland! If you ever come to the one in Tempe let me know! :) Fun to meet you today! But, to answer your question -- I use Photoshop for my collages. Thanks so much for your amazing comment!